Welcome to Mind the Body Soul! I have a passion for personal and spiritual growth and am a lover of all things creative. My passions include music, writing & editing, cooking & healthy eating, jewelry design, painting, real estate and architecture … the list goes on. I am a true believer in the book Refuse to Choose. God has blessed me in so many ways, and my purpose is to share everything I learn in an effort to make a difference for others. I am thrilled to have joined A Makers’ Studio in pursuit of all things creative while working with a company who has a mission I am honored to be a part of: working to end human trafficking. Home truly is where the heart is for me, and I have a strong love for creating things for my home, as well as helping others to do the same. Whether you want to attend a workshop to have fun with old friends – or friends you haven’t met yet – to create something for your home, or you want to order a custom piece made for your home, those needs can be met through the resources provided by A Makers’ Studio, while also knowing that your purchases are going to help a very worthy cause. In pursuit of healthier eating habits without giving up my love of cooking, I am thrilled to share recipes that I have created or found that I think you may enjoy. I think we all run out of ideas from time to time, and I hope you find them helpful! I believe that inner beauty is most important; however, I also believe that when a woman feels good about how she looks on the outside, it affects every aspect of her life in a positive way. 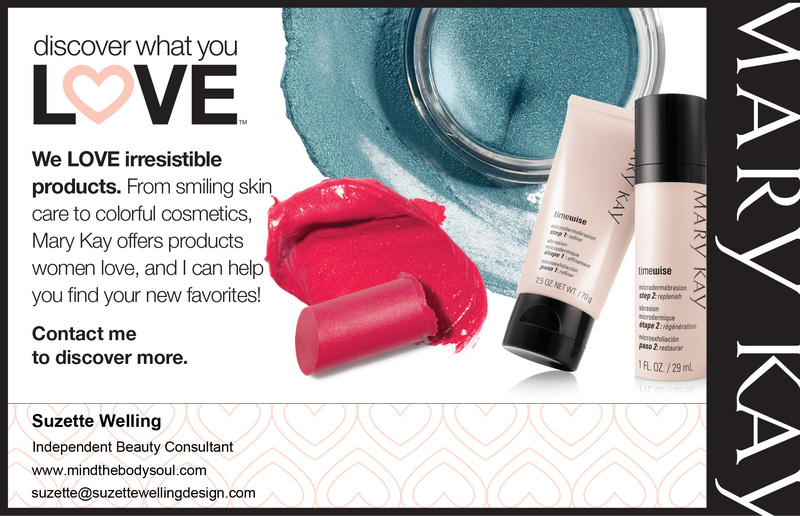 For over ten years I have used Mary Kay cosmetic and skin care products and helped others to learn how to take the best care of their skin and apply quality makeup in a tasteful way. You will find information and helpful tips under the Beauty category. Another passion I have is making a difference for children, and in addition to joining the fight against human trafficking, I love volunteering for organizations such as PACE Center for Girls. The giver is more blessed than the receiver, and what a blessing to make a difference for young girls in need! You will find information about this and other worthy causes under Causes for Women and Children. I am also excited to have held an online book club of sorts on this site, for women who would like to have a Transformative 2014 and beyond. In 2014 I began reading Sarah Ban Breathnach’s book, Simple Abundance: A Day Book of Comfort & Joy. Like so many things that I read, I discovered Sarah’s book through Oprah. Oprah leads us to so many books of spiritual awakening, doesn’t she? Sarah’s book was first published in 1996, but it is still relevant today. It is written as an inspirational daily reading. One description notes, “Simple Abundance shows you how your daily life can be an expression of your authentic self … leading you to a happier, more fulfilling and contented way of being.” You should check it out!